#1 Custom BrowSER : Save hours and be more productive with access to an unlimited number of social media profiles and personas at your fingertips - manage, access and post to multiple accounts simultaneously from unlimited proxies. #2 Safety Smart Cache System : Imagine taking one of our biggest obstacles and turning it into our greatest asset - the smart caching system will save you hours of frustration by uniquely saving all your profiles cache, cookies, history, passwords and more so you never have to login or look for them ever again. #3 Social Media Crawler : Drive traffic to any site, blog, video, web 20 or money site with the most popular and viral content on the web. Make 9 out of 10 of your social posts and back-links drive traffic as well as sales. -Easily create and mash unlimited RSS feeds - Turn html pages into RSS feeds. 1 Click Logins To Unlimited Social Media Accounts and Personas : Imagine having every social media account you access regularly at your finger tips. Being able to just click and open any persona for any project for any account in an organized and streamlined way. Being able to cross post to unlimited social media profiles all from one crazy military grade application... proxies, cache, cookies, history, personal info, passwords... covered, and, that's not even scratching the surface of what possible. Dominate Any Niche With The Best Content On The Web : FB ConverSEO helps you drill down and find the best content on Facebook in seconds. You will be able to instantly curate, download, re-post to unlimited amounts of FB accounts and other WEB 2.0 sites with minimal effort and maximum effect. Absolute Control Over All Your PBN's and Money Sites - Over Optimization Penalties Gone Forever : You Are Always In Control Of Your Rankings With PublisHUB. Stay in control of your back-links, all your PBN's no matter how many. Post to your money sites with total custom settings, categories, tags, images, features images excerpts like your in your WordPress dashboard. In fact there are more custom setting in the PublisHUB editor than in the WP one! Jump Into Conversations, Drive Traffic and Get Unlimited Back-links With the Prospector : Get back-links and Drive Traffic On Demand With the Prospector. The prospector will find you places you would never have been able to find looking manually through the millions of results and millions of social interactions and conversations happening right now in your niche. Crawling both Google and the social web the Prospector find unlimited link sources and conversations for you to jump right into with almost no effort at all. hi whisky, how are things about this greate software? could you crack it all? 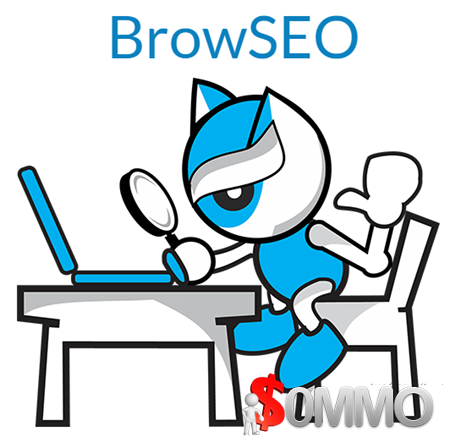 Please feel free to post your get Brow SEO 3.6.6 Beast Solo Download, blackhat, free download, tutorials, review, patch, cracked, hacked, Serial, keygen, nulled, WSO, nulled script, nulled plugin, link list, torrent, NFO,4Shared, Amazon Drive, amazon s3, blackhat, Box.com, copy.com, dailyuploads, DepositFiles, Dropbox, Google Drive, iCloud, iDrive, JVZoo, Koofr, mediafire, Mega, mirrorcreator, mirrored, NextCloud, NitroFlare, OneDrive, OpenDrive, Openload, pCloud, rapidgator, review, sendit sendspace, SpiderOak, SugarSync, Sync.com, Tresorit, uploadboy, uploaded, ul.to, WeTransfer, WSO, Yandex, Zippyshare, direct links, requirements or whatever-related comments here.